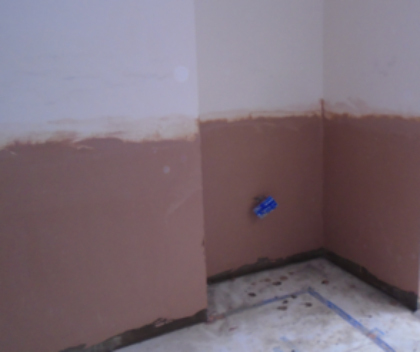 Kenwoods have just completed a treatment for rising damp within a 1920’s semi-detached home. Following a problem of dampness being reported within the ground floor, our Surveyor inspected and identified the affected areas for treatment . Additionally woodworm was affecting timbers within the loft space and staircase. Evidence of woodworm is found when small holes appear in timbers these vary in size depending on the species. Treatment for the infestation involves spraying all affected timbers with an insecticide. Our product has been given a 1 hour re-entry status. This means that we can cause the bare minimum of disruption during our works and rooms re-entered once the wood treatment is dry or one hour later (whichever the greater). With these works now complete our client can continue to enjoy their family home for many years to come.